Задача: To create an immersive exhibition displaying spectacular art pieces by famous artist; Gustav Klimt: Klimt Experience. To inspire and deepen the knowledge of exhibitors. 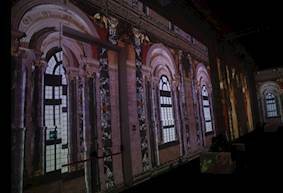 Решение: Crossmedia Group chose to install 16 Optoma ProScene ZU510T DuraCore laser projectors. The product boasts optimum detail, colour and brightness on a very large scale, allowing visitors to closely depict details from the delicate art pieces. In total, 16 models were installed in two locations in Italy. 8 models were installed at each venue - the prestigious palace Reggia di Caserta and Mudec Museum in Milan. Crossmedia Group stated: “We chose Optoma because the ZU510T delivers fantastic colour accuracy and brightness at a very reasonable price." 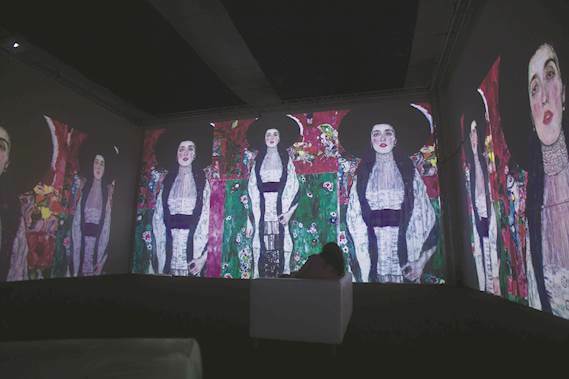 Результаты: A successful immersive display of Gustav Klimt’s pieces in two different galleries in Italy demonstrating the power and beauty of his pieces.